New Delhi: Political consensus eluded the legislation moved by the ruling United Progressive Alliance (UPA) to set up a National Investigative Agency (NIA)—an omnibus agency to fight terror on the lines of US Federal Bureau of Investigation (FBI)—with the main opposition Bharatiya Janata Party (BJP) willing to extend only conditional support. Similar political differences had checkmated earlier efforts. This would be the seventh initiative by two successive governments, the BJP-led National Democratic Alliance (NDA) and the Congress party-led UPA, to create such a body. However, this is the first time that it has gone into draft legislation. Immediately after home minister P. Chidambaram tabled the Bills in the Lok Sabha on Tuesday, barely a week after politicians exhibited unity in the fight against terror, leaders voiced concern over them. But the BJP announced it would support the NIA Bill in Parliament. “Being a nationalist party, we will support even a reluctant and incomplete step like this (NIA) as long as it is a step against terrorism," BJP leader Arun Jaitley said. He, however, added that the BJP should voice its concerns for the “left-out provisions and lacunae and fight for its inclusion." The Left parties, too, voiced their reservations. 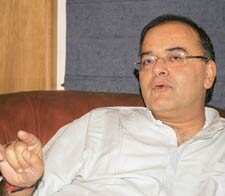 “The government has extended its scope (in the Bill) to Naxalism and insurgency, etc. We have apprehensions about such provisions that they may be misued," Communist Party of India leader D. Raja said. He added that the Left parties would take a stand after discussing the details of the Bills. The new agency will lack the manpower and funding needed to combat terrorism, said Ajai Sahni, executive director of the Institute for Conflict Management, a New Delhi-based independent policy research group, adding it won’t resemble the US department of homeland security or the FBI. The government needs to focus on strengthening the police, he said. In India, there is an average of 122 police officers for every 100,000 people, compared with an average ratio in Western countries of between 250 and 500, according to the Institute of Peace and Conflict Studies. The establishment of the new agency and changes in the laws are purely symbolic and don’t have the capacity to contain terrorism, Sahni said. Reacting to the proposed legislation, Joginder Singh, former director of the Central Bureau of Investigation, said: “The main flaw in the (NIA) Bill is that it still does not fix responsibility of preventing terror incidents in the country or any particular organization." “As in the case of the security agencies such as the Intelligence Bureau, the new organization, too, should have field units spread across the country so that they can quickly take over," he said. “The CBI should have been appointed as the main organization for investigation of terror incidents." The proposed Unlawful Activities (Prevention) Bill suggests a detention period of 180 days instead of the current 90 days, denial of bail to an accused foreigner and freezing, seizing and attaching funds and other financial assets held by individuals or entities engaged in or suspected to be involved with terrorism. Some opposition-ruled states have also expressed reservations over the Bills. While Bihar chief minister and Janata Dal (United) party leader Nitish Kumar has demanded the Prime Minister convene a meeting of chief ministers, the state governments of Punjab and Uttar Pradesh—ruled by opposition Shiromani Akali Dal and Bahujan Samaj Party, respectively—expressed their unwillingness to support a federal agency. Interestingly, the proposal to set up the national agency is identical to one put forth in writing to the Lok Sabha on 20 November 2001 by I.D. Swami, minister of state for home in the BJP-led NDA. The proposal was also referred to by then prime minister Atal Bihari Vajpayee on 8 February 2003 in a meeting with the chief ministers of various states on internal security and by Prime Minister Manmohan Singh twice in 2007 the first time on 4 October when he was speaking to police officers, and the second on 20 December, during a meeting with chief ministers. K.P Narayana Kumar and Bloomberg contributed to this story.